This is a first in India. 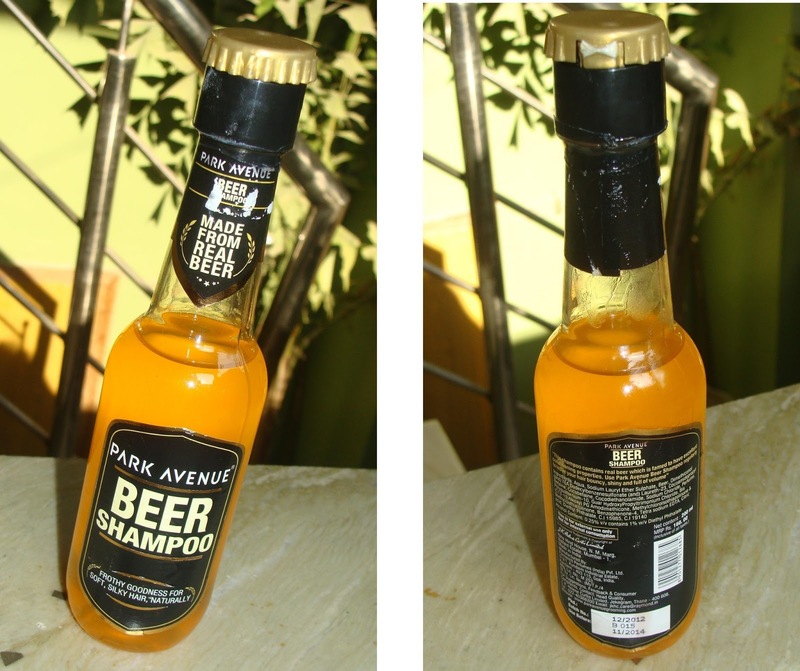 A Beer Shampoo. Love the sound of it !! 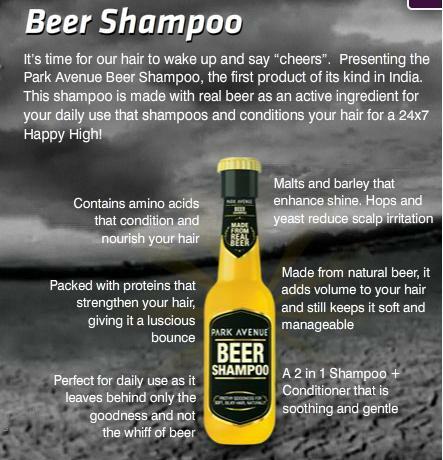 Beer is said to increase the shine and bounce of hair while making hair healthy and increasing the volume. 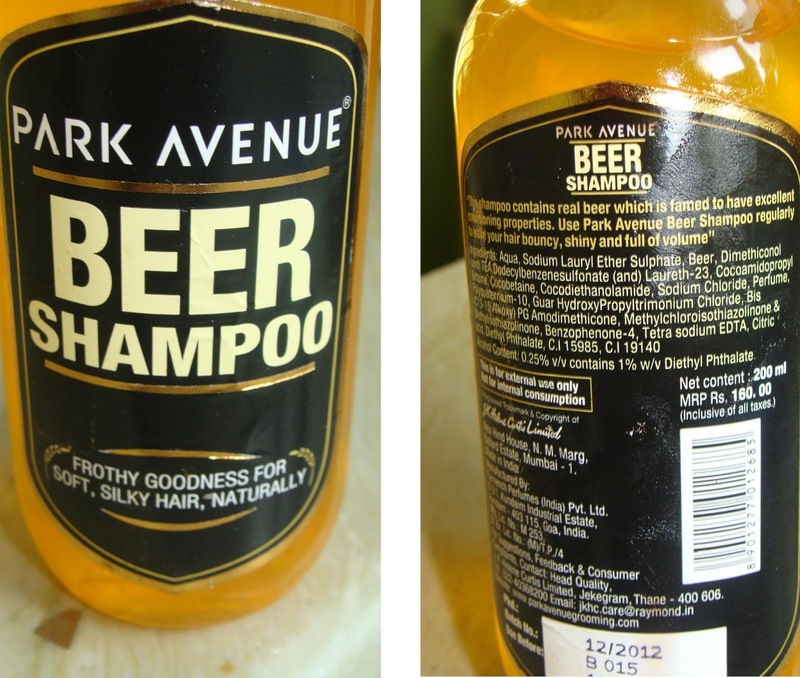 This shampoo from Park Avenue is said to contain real beer. And yes, it smells just the same. I ordered it from Park Avenue website itself and got it at some discount. They took a lot of time in sending it to me and when I received it, packaging was perfect. The bottle is of plastic but looks like a glass beer bottle.But, when I started to open it, I noticed some leakage of product. 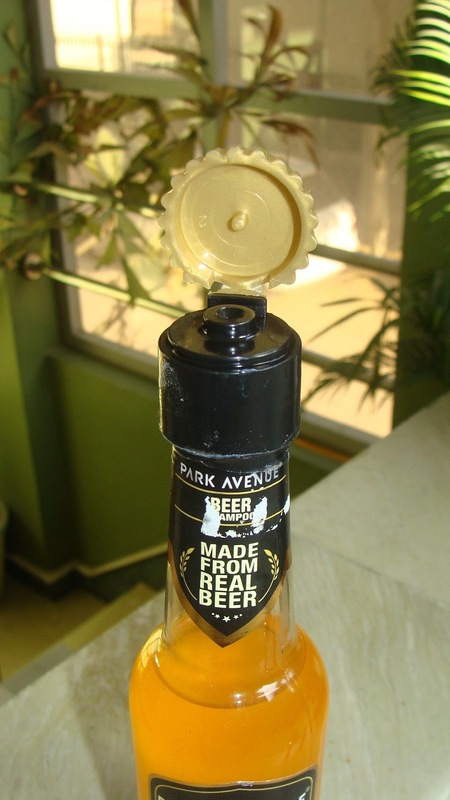 The cap doesn’t shut off completely, which leads to leakage when bottle is not held upright. Not a good thing!! Okay, so, about the shampoo now. I have curly, frizzy, unruly hair. I used this beer shampoo and liked it. The smell is weird but the shampoo is not. I took the quantity equal to what I take of Wella or Matrix shampoos but no, much less of this one is required. It lathers well and rinses out well too. Cleanses the scalp and hair properly. Leaves hair squeaky clean and shiny. But dries them up. You must need to use a good moisturizing conditioner after beer shampoo to combat that and the smell too. I used Matrix Smoothening Conditioner and I loved the final results. I got complemented on my hair too 🙂. Adds shine and bounce to hair. Very good after-oil shampoo. Removes every trace of oil. Not travel friendly. Bottle can’t be closed properly. Leads to leakage when not upright. Availability.Makes hair dry when used alone but when followed by a good conditioner, it gives good results. Bad smell but again, conditioner takes that away too..
Lathers well and easy to rinse.